Described by MacDonald as ‘a faerie romance for men and women’, Phantastes tells the tell of Anodos, a young man who one morning wakes up to find himself in the dreamlike landscape of faerie. Through this landscape he must travel, facing malevolent tree-spirits and fighting giants, dogged all the time by his shadow-self and eventually reaching a climactic act of valour, self-sacrifice and redemption. On his journey he is inspired by a mysterious white lady, befriended by knights, and given strength by the ‘old woman with the young eyes’. 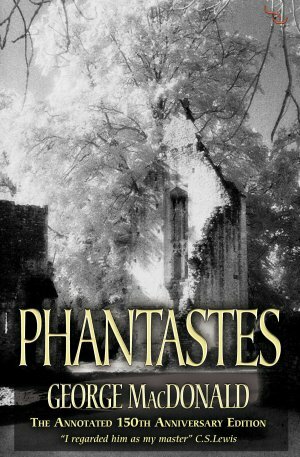 Phantastes is a tale about selfishness and self-sacrifice, pride and humility, about friendship and fear. Above all it is a novel about death – good death – death, which is really the start of life. This new edition also contains 33 line drawings by the pre-Raphaelite artist Arthur Hughes, an illustrated introduction to MacDonald’s life and the novel by Nick Page, and an appendix of associated works, including ‘The fantastic imagination’, MacDonald’s 1893 essay on fairy tales. George MacDonald (1825-1905) was one of the most innovative and original Victorian writers. His work is noted for its visionary theology, rich symbolism and imaginative power.